The solar industry has been flourishing around the world – thanks to its green nature and falling tariffs. The government incentives too have played a major role in promoting solar power globally. The governments in the key markets of USA, China, Japan, India have been pro solar, which helped a great deal in the widespread usage of solar power. These rebates and incentives have been vital to the development of solar industry worldwide. Incentives are formulated by the government to promote any nascent industry. However as the industry shows signs of maturing, the government slowly wants to wean off from them. 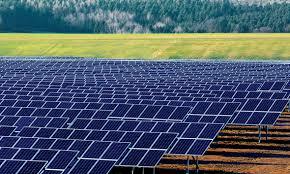 Nations worldwide formulate policies for developing their solar industry. Many investors, developers also want to invest in a particular sector if backed by the government. However with time, these incentives need to be moved from a relatively matured sector to a relatively newer sector for it to flourish. This leads to panic in case they come to a halt or excitement if extended, amongst the investor community. It is a natural process and the investors investing in the solar market should be well aware and prepared for the fact. India is all set to reduce accelerated depreciation incentive for rooftop solar to 40% from the existing 80% from FY 2017-18. With China too recently reducing its Feed in tariffs in July, the prices of panels have been falling in the global markets. Germany too had drastically reduced its FIT after a massive surge in solar installations between 2010 and 2012. Japan has also undertaken planned reduction of its Feed in tariffs. USA too was expected to reduce its ITC in December 2015, however ITC was extended by the federal government to support the flourishing solar industry for some more time. 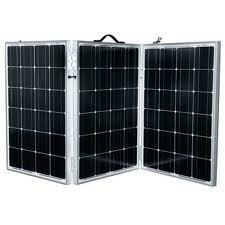 Solar industry is a highly volatile one. Though solar is helping a lot in fighting climate change concerns, it is not highly profitable. Look at the module prices today – they are definitely not producing high margins. Overcapacity in key markets is leading to low solar panel prices. Globally Solar panel prices average ~43 cents/watt. Prices are lower in the Asian region due to absence of any trade, but higher in USA and Europe because of duties. In India, the prices of solar panels are as low as 39 cents/watt because of severe competition and low solar end prices. Solar projects are being bid at lower tariffs because unlike normal auctions where the highest bid wins, reverse auction prevails in the solar industry. This is leading to further reduced bids and is feared by many industry observers to lead to low quality projects. If this is the condition prevailing today, people would fear where the profitability of this industry will be headed towards. The strong argument that can be given here is that solar is becoming increasingly mainstream with each passing day, as is evident from the mass adoption worldwide, utility fears and falling prices. Given its green credentials it has become the preferred choice amongst the nations. Also since the industry is slowly maturing it is time for the various governments to reduce incentives, so as to grant more independence. Solar energy has a crucial part to play in the survival of this planet and the future. It has become an inevitable solution to the global climate concerns today. Though it is natural for the government to slowly get away from the incentives, it is also necessary for them to analyse if the time is correct. For example, even though the USA solar industry is booming, the Federal government decided to extend the Investment Tax Credit (ITC) In USA.